I arrived home from work today to a wonderful surprise - I got a little package from the wonderful Kelley (go to her youtube HERE). I won third prize in on of her many contests and my prize was Lush's Honey Bun Bath Ballistic. 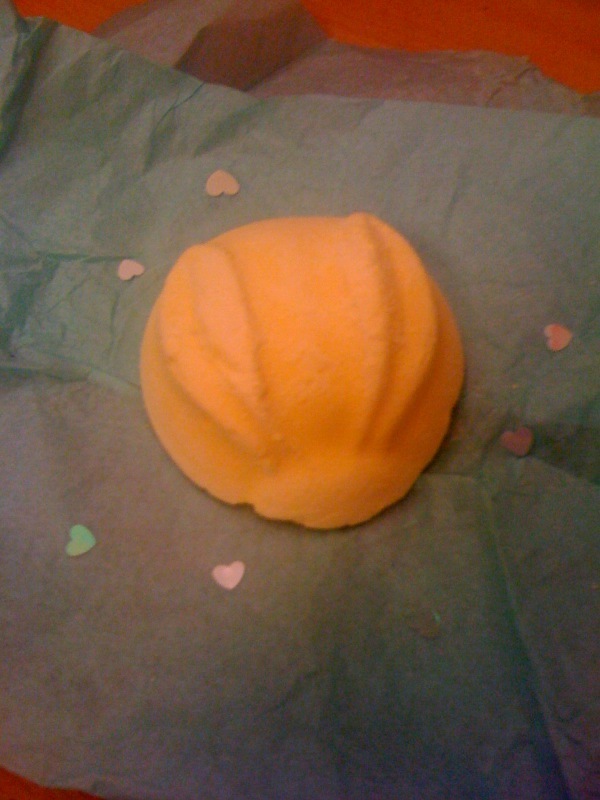 This bath ballistic was part of Lush's Easter collection and I don't think I ever saw one here in Ireland, so I was delighted to win it!!! Want to have loads of fun in the bath? Share it with your Honey Bun! Molded after a traditional Japanese cake shape, it's just as deliciously sweet. It's got the same toffee fragrance as our best-selling soap with sweet orange and bergamot oils. Pop one into your basket and hop right into the tub; every-bunny loves our bunny! I cannot wait to try this out - it smells incredible. Thank you so much, Kelley - your generosity is overwhelming! Everyone, please check out Kelley's youtube and subscribe!! !